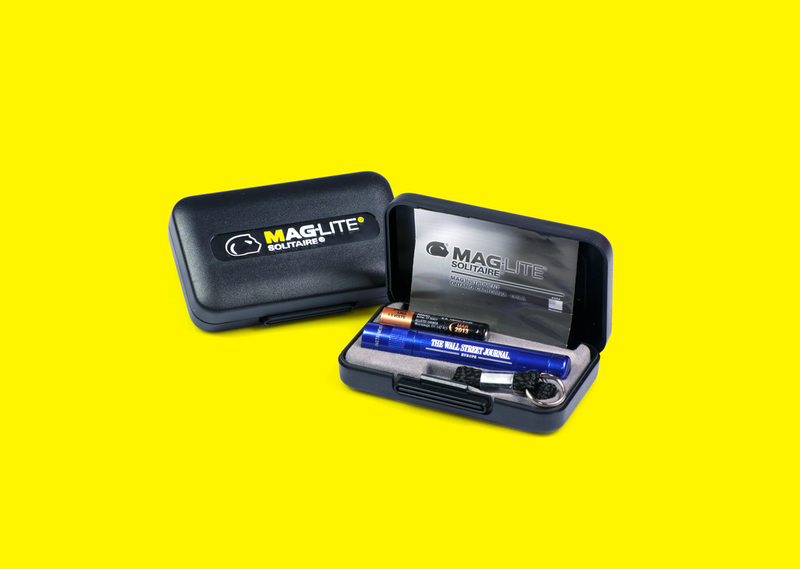 Engraved Maglite Solitare torch, supplied in gift box. Pure Storage luggage strap. The Strand Match books.